Pitkin County Commissioner candidate Rob Ittner speaking during squirm night against current Pitkin County Commissioner Patti Clapper at GrassRoots in Aspen on Thursday evening. 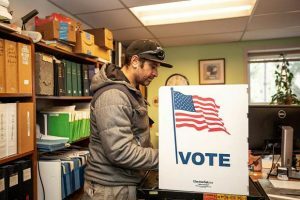 Of the two seats up for grabs on the Pitkin Board of County Commissioners this year, only the District 1 seat features two candidates. That district, which mainly encompasses the Aspen area, pits incumbent Commissioner Patti Clapper against Aspen businessman Rob Ittner. Clapper and Ittner faced off in 2014 as well, when Clapper bested Ittner by 13 points in the polls. Ittner served one term on the board from 2011 to 2015, when Clapper was forced off the board by term limits. Clapper served three terms before that and is asking voters to return her to the board for her fifth four-year term. The Aspen Times asked each candidate six questions. 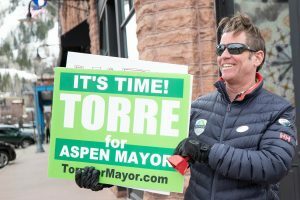 Aspen Times: Name, age, marital status, children, years in Aspen, profession, political experience. Why are you running for county commissioner? Patti Kay-Clapper, 65, two children (Trevor, 33/Traci, 29) and two grandchildren (James, 3/McPherson, 20 months), lived in Pitkin County 38-plus years, a nurse by education and since 2011, I have worked in the garden industry on a temporary, part-time basis. My political experience started in 1988 when I helped to obtain the consent decree between the EPA and the county that allows people to live and develop their property at the base of Smuggler Mountain within the Superfund site. It was due to what I learned as part of my Superfund experience — how it felt to be a member of the public coming before elected/appointed boards/councils — that I ran for and was elected in 1998 to the District 1 seat on the Board of County Commissioners. Due to Pitkin County’s Home Rule Charter term limits I was not allowed to run for re-election in 2010. Per the Home Rule Charter I was allowed to run (again) in 2014 when I ran against Rob Ittner, the Republican incumbent. I was elected then and I am currently serving as the BOCC chair. In my terms in office I have had many opportunities to gain an enormous amount of very broad spectrum political experience. It is, as it has always been, of greatest importance to me that any and everything I do as a county commissioner benefits Pitkin County as a whole. I am running for Pitkin County commissioner for many reasons. I believe in Pitkin County as a community and I want to continue to support and protect the values held by those who live, visit, work and play here. Rob Ittner, 48, single, 19 years in Aspen, restaurateur, served as Pitkin County commissioner from 2011 to 2015, involved with several other volunteer boards, notably, Aspen Chamber Resort Association, Airport Advisory Board, founding member of Aspen Young Professional Association, past president of the local chapter of Colorado Restaurant Association. I have always been someone who steps up and gets involved. When people suggested I run for county commissioner in 2010, I researched the issues, got more involved with a community that I was already involved with, and as it is in politics, I put my neck on the line to serve, protect and help balance the values we have in our community (protecting the environment, conserving our natural resources, responsibly managing the growth of our tourist-driven economy, finding a balance between development and other interests that are part of our lives here and many other issues). As many have told me, my analytical experience learned from running a business for almost 20 years and having 25 employees is of great value to the process of governing the county. That is why I first ran eight years ago. After serving for four years as county commissioner, I was very proud of the work that I did and the integrity and compassion I brought to the job, and it was very rewarding. I am running again because I loved the work and I believe I will do a great job with the challenging things facing our future. Three past county commissioners have strongly endorsed me because of the job that I did as commissioner — Jack Hatfield, Dorothea Farris and Michael Owsley. All of them served with both my opponent and me, which speaks to the job I did and why I am running again. I will make a better commissioner than my opponent, and these endorsements show great faith and respect for what I bring to the office. Their endorsements speak to the fact that they believe I will be a more effective leader. I am proud of the work that I did in my first term and I am grateful to have the confidence of these former commissioners. Aspen Times: How would you rate the current state of Pitkin County and why? Rob Ittner: We live in a great community here, with great shared values. When we live in such a wonderful place we have to protect it. It is my opinion that the quality of life for the people of Pitkin County has diminished over recent years. The cost of living and being able to sustain a balance has proven harder and harder for so many. Health care, cost of living, expensive housing, wages, transportation, limited affordable child care, access to mental health, schools and so much more has made it hard for people to live and stay here. As a founder of Aspen Young Professionals Association over 15 years ago, even then our conversation was about how we can make this a better and more affordable place to live, work and raise families. Having served as a county commissioner for four years and owning a business where the buck stops with me, I understand how complex these issues are. There are no quick fixes; they all are interrelated in one way or another. It takes an active, hardworking, analytical problem solver, as well as collaborative effort and community-building commitment, to drive the discussion with all five members of the Board of County Commissioners. I would like to continue that approach to the work of the Board of County Commissioners and bring that type of fresh, thoughtful and deliberative insight to the discussions as I have in the past. It’s time to get a fresh and insightful voice back on the commission! 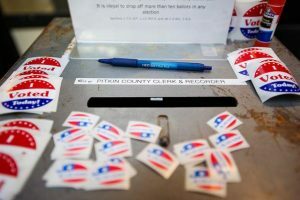 Patti Clapper: In light of the 2016 Pitkin County Community Survey, 95 percent of the residents surveyed rated the county as either an excellent or a good place to live and 93 percent rated the county’s overall quality of life as either excellent or good. As a resident of Pitkin County and as a member of the BOCC, I rate the current state of the county as good, if not a better than good. This is not to say that there are not issues locally, regionally, statewide and federally that the county needs to and must address and monitor concerning transportation, protection of our natural environment and public lands, improving air service and protecting our water resources. Staying in front of these issues is the best way for our community to direct our own future … even more the future of generations to come. 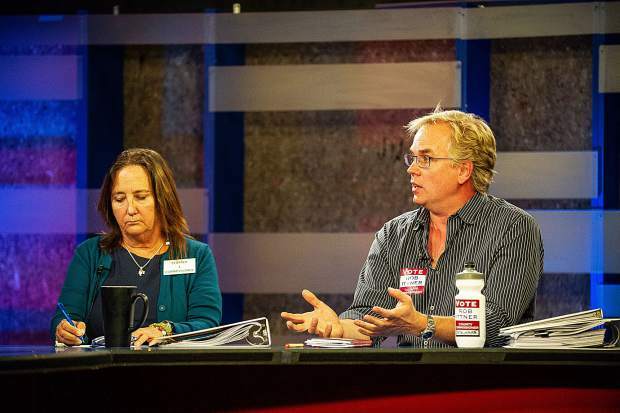 Aspen Times: What are the biggest issues facing the county in the near future? What are your priorities if elected? Patti Clapper: The biggest county issues facing the county in the near future are as follows: 1. The airport redevelopment — how will the airport serve the public and represent our community values? The runway, the terminal, and associated general aviation, parking, community impacts/needs/desires. 2. Water — how do we protect our water (quality and quantity). 3. Housing — affordable employee housing, rental, for sale, where, what, who, etc. 4. Child care — availability, affordability, accessibility, etc. 5. Land use — mitigating the impacts of development (house size, energy use, etc.) 6. Climate change — the fact we need to act on a local level now! Rob Ittner: I know it sounds like a catchphrase, but I cannot express how much I am hearing out on the street: “Quality of life.” We all live here for so many wonderful reasons. The hikes, the arts, the quiet community, the respect and love for nature, skiing, great organizations like the Music Festival and School and the Aspen Institute (to only name a few), and so much more. Now, balance the demand for those wonderful attributes with the cost of living here. Again, as in the question above, health care, cost of living, housing, wages, transportation, child care, mental health, schools and so much more have made it hard for people to live and stay here. All these things are a hard balance to keep in place. Understanding how everything connects and work together should be a priority. 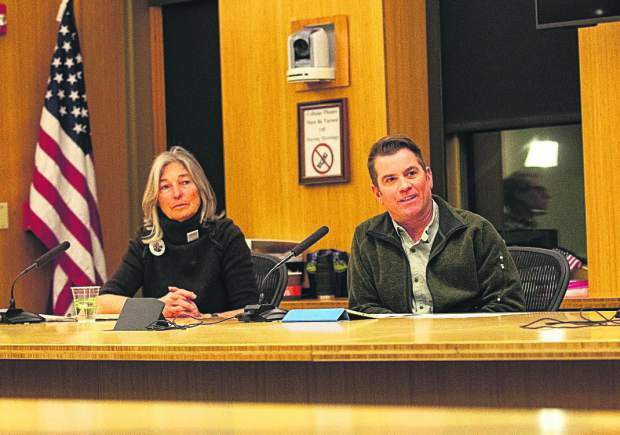 Aspen Times: What improvements/changes to county governance would you make if elected? Rob Ittner: This is one of the areas that I am most proud of as a past county commissioner. Making sure the hard questions get asked at the table. Staff does a great job behind the scenes, but it is the job of the commissioners to ask the hard questions, dig deep and challenge the who, what, where, when and mostly the why of things. As a business owner overseeing managers and directors, my role is often to ask the questions and get them to take projects to the next level. Jack Hatfield and Michael Owsley, who sat on the board with me, often thanked me for being the person who did just that on the board. Asking questions always takes the discussion to the next level. This also can be said about community involvement; the county is always trying to get the public involved more so that we understand where the community stands on issues. The community is after all the top of the organizational chart of local government. This is not as easy as it sounds — as we all know, the squeaky wheel gets the grease, but with today’s technology and more effort, I feel we can greatly improve how we involve citizens and get the properly filtered information from the public. This would be one of many areas that I would push for as your next commissioner. Patti Clapper: When re-elected to the BOCC, I will continue to ensure that the county’s form of governance puts community involvement/inclusion first and foremost. I will also move forward the county’s current efforts to improve transparency in any/all county departments and efforts. 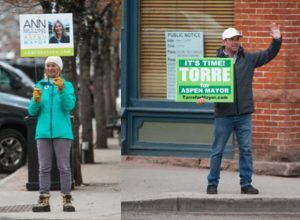 Aspen Times: How would you rank the following items in terms of importance: affordable housing, open space, development, transparency, public health, transportation, the environment and why? Patti Clapper: In ranking the importance of affordable housing, open space, development, transparency, public health, transportation and the environment, development comes in at the top of the list and this is because development impacts all of the other issues mentioned above. Affordable housing, open space, public health, transportation and the environment are all issues of great importance. I would add to this list child care and health care. Rob Ittner: This is largely what I am talking about when I say all things are interconnected and important and it takes an analytical mind to connect the issues. So, ranking these is absurd! Government does not work on one thing and then move onto the next. These are all important issues and in fact, they relate to one another in so many ways. Understanding this is a big step for elected officials. It becomes a political game to the detriment of the community to start ranking and playing politics on these issues. That is why my campaign ads read “No politics, just hard work, analytical thinking, and collaborative effort.” These are all “quality of life” issues. Knowing and understanding that governance is about balance, that is the hardest part. Those that play politics are trying to get your vote but not trying to get the job done. Connecting the balance of these things is where the rubber meets the road. Aspen Times: Have you ever been arrested and, if so, why? Patti Clapper: I have never been arrested — yet!